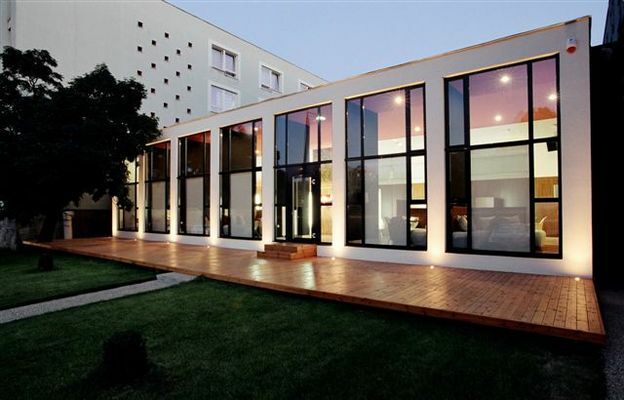 The Laterum Conference and Wellness Hotel**** is located in Pecs, the capital of Baranya county. As Southern Hungary scientific and economic center Pecs is a frequent host of domestic and international gatherings and symposia. Hotel Laterum has been a provider of Youth- and group tourism for over 15 years, while also serving as a meeting place for both international and domestic conferences, various events, weddings. Located in the western part of the city, our 300-room three-star hotel welcomes guests by offering fully equipped, renovated and comfortable rooms with 2 and 4 beds at affordable prices accompanied by a restaurant serving fine Hungarian cuisine. • Half board is available at 3050 HUF per person. • Full board is available at 4550 HUF per person.